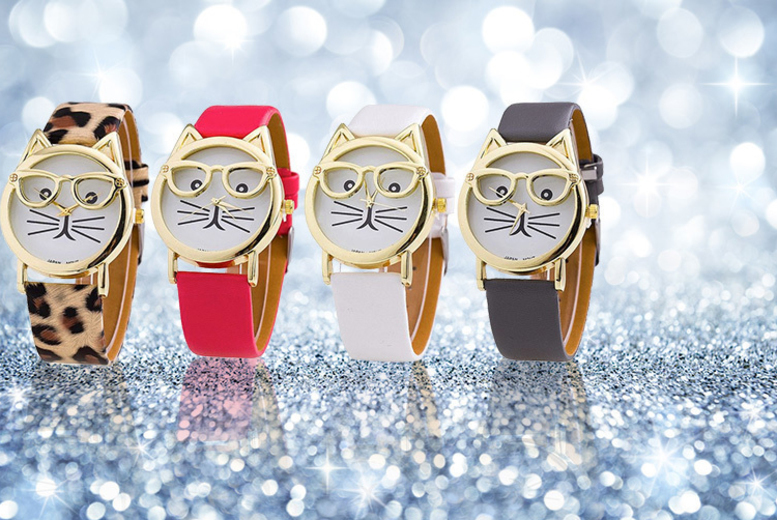 Get a women’s ‘cat geek’ watch. In leopard print, red, grey or white. With gold detailing around the watch face and the cat’s accessories. Size: dial diameter: 37mm, band length 250mm, band width 10-19mm. Features gold detailing around the watch face. A must-have piece for cat lovers!